So Windows 10 is not working out so great and you decided torollback to Windows 7 or Windows 8. After doing so though you might notice that your Windows 7 or Windows 8/8.1 license is reporting it is not activated or not genuine. In this article, we take a look at ways you can resolve this issue. If you reinstalled the correct edition of Windows 7 or Windows 8/8.1 on your computer, then based on the OEM Marker or the OEM Recovery Discs, you should not be prompted to reactivate. Factory installed versions of Windows are already pre-activated, but if you are getting this error, here is what you can do. Notice Windows 7 now displays OEM within the Product ID to indicate the product channel it is licensed from. 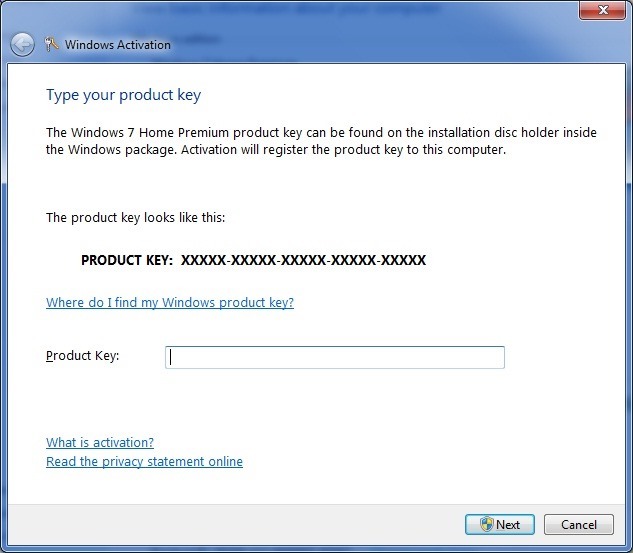 Workaround 2a: If you have a retail version of Windows 7, try phone activation using the retail product key found in the Windows 7 product box. Stay on the phone (do not select/press any options) and wait for a person to help you with activation. If the COA sticker is damaged, then you would need to use the recovery partition to reinstall Windows 7, this will exempt the need to use the product key to activate your Windows 7 installation. If your recovery partition is not available or damaged, you should contact the manufacturer of your computer and request a recovery disc set you can use to reinstall Windows 7. They might charge a small shipping and handling fee. This will exempt the need to use the product key also. Run the Microsoft Genuine Diagnostics Tool to determine your activation status and product channel. Step 2: Once saved, run the tool. Step 3: Click on the Continue button, which will produce the report. Step 4: To copy the report to view your results, click on the Copy button in the tool (ignore any error messages), then paste (using either right click > Paste or Ctrl+V ) into a text editor such as NotePad or WordPad (preferably WordPad). Download the Update for Windows 7 for x86-based systems package now. 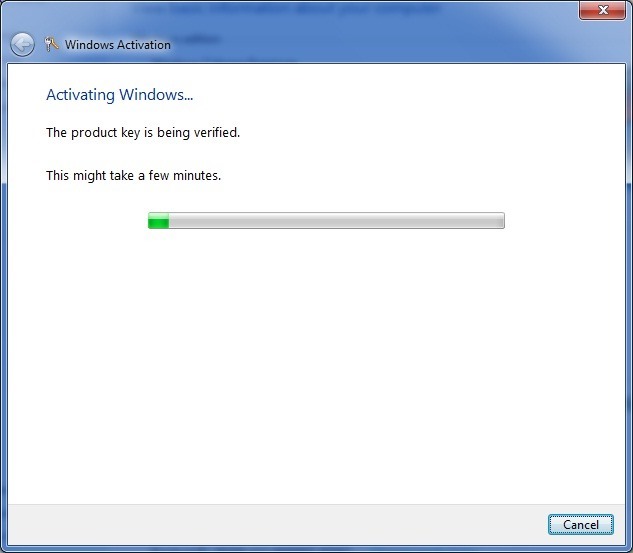 Download the Update for Windows 7 for x64-based Systems (KB971033) package now. Install the update to see if it corrects the problem. If the neither options 1 or 2 is possible, then you need to invest in a new retail full version license. To learn more about obtaining recovery media, please scroll down for further information. Please note, these options will likely involve performing a new installation, so please backup your personal files and settings then prepare to reinstall applications and hardware drivers. With Windows 8, Microsoft changed from stickers that have the product key which the user had to to type in when installing the operating system to new BIOS embedded product keys. The idea is that by eliminating the sticker, you eliminate one of the easier ways for nefarious users to get a legitimate product key. Eliminating the product key sticker also removes any worry that the sticker might get damaged while at the same time eliminating the long and irritating process of typing in various letters and numbers when installing the operating system. If the user has to reinstall the operating system on a machine that came with Windows 8, the installation process automatically grabs the software product key from the motherboard BIOS with no input from the user. This means that those familiar Windows product key stickers will no longer appear on the Windows 8 computers. If Windows 8 setup did not retrieve your key and you had to use a generic key, here is how to retrieve the product key from the BIOS. Enter the product key and click Next to activate over the Internet. What if your product key damaged, OEM refuses or cannot help with providing recovery media? Well, the best option in this case would be to return to Windows 10 then try working through the issues. If your Windows 10 installation was activated prior to rolling back, then you should be able to reinstall Windows 10 then reactivate automatically using Digital Entitlement. Your detailed response meant you spent time to resolve the issue. However, I regret to state that you did not read or pay attention to my particular situation. Your response does not address the issue at all. Thanks for the help! My story of how I needed this: It was the summer of 2015, there was a Windows 10 update, and my desktop computer was Windows 7. I decided to upgrade to Windows 10, forgetting that my headphones were made for Windows 7. Soon after a few days, I found out that my headphones were for Windows 7 on the box, and decided to downgrade back to Windows 7. After that, my background was gone and I keep getting spammed to activate Windows. Took me 1 year to fix this problem (it didn't bother me so now I finally got annoyed of it) with the help of you!